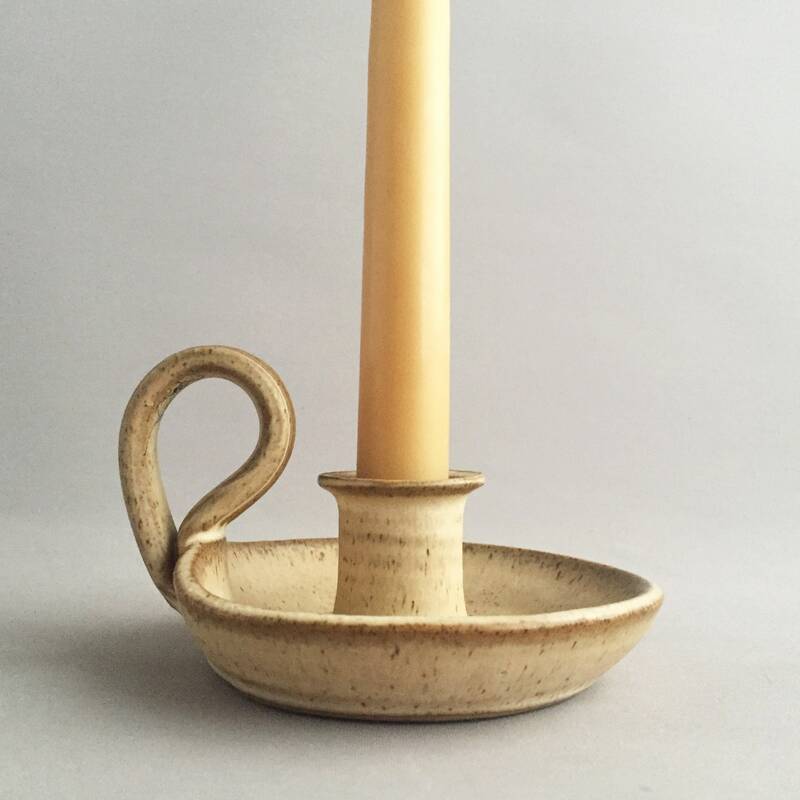 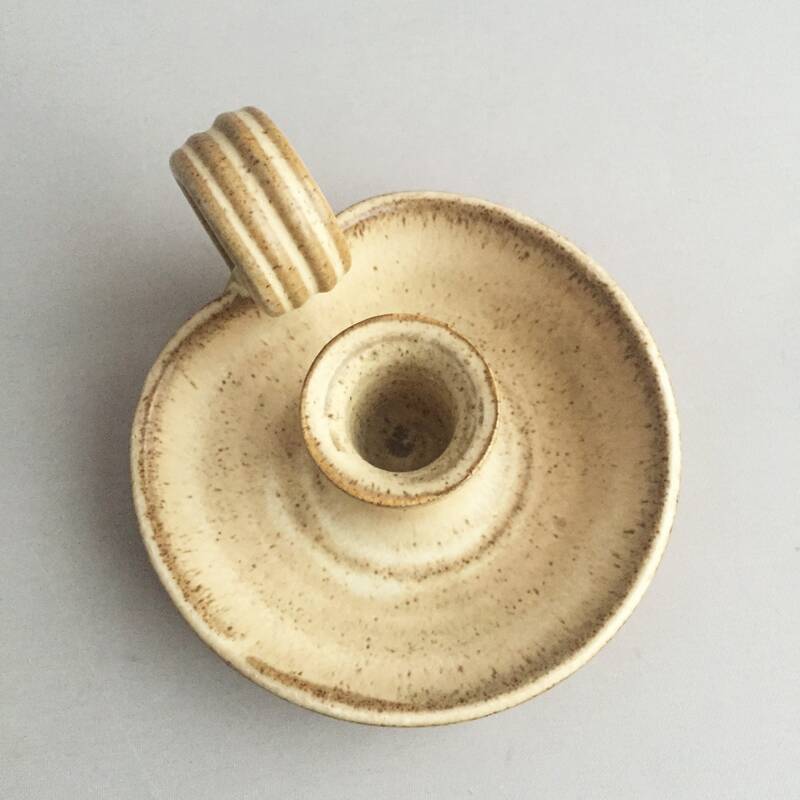 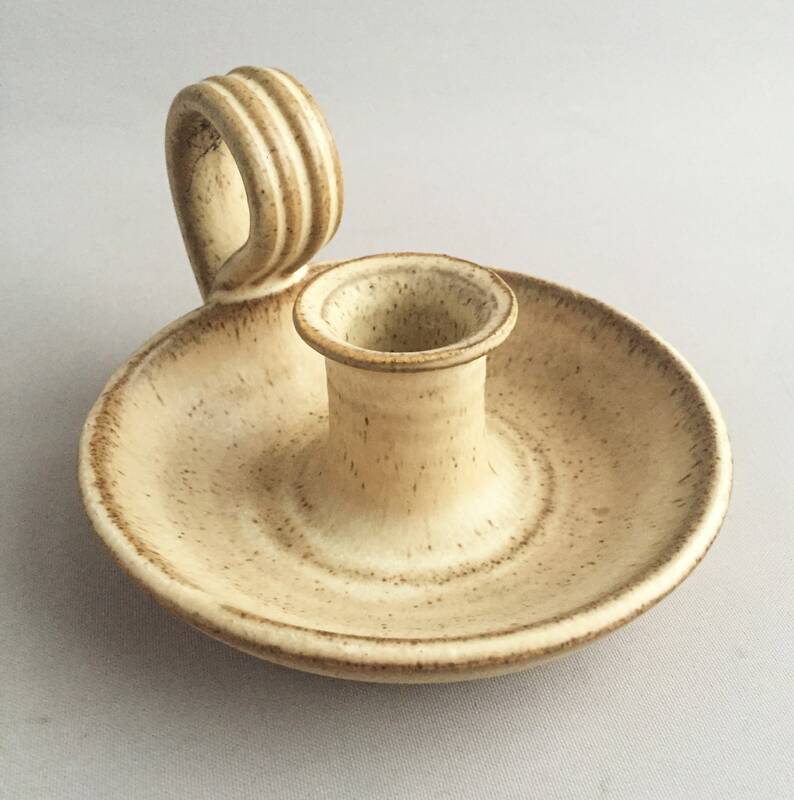 A hand made ceramic candle stick holder in the " wee-willy-winky " style. 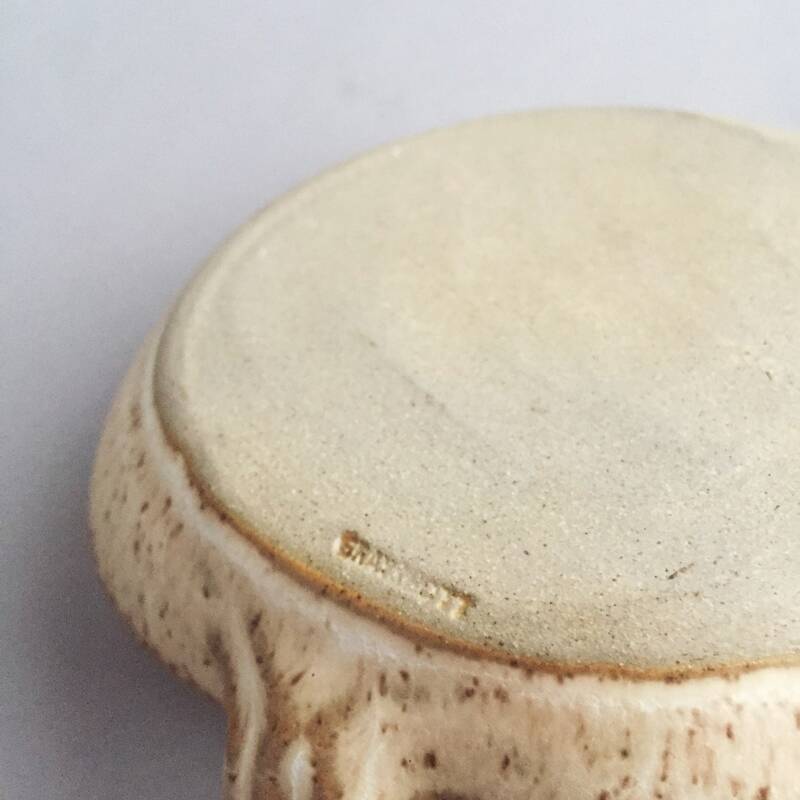 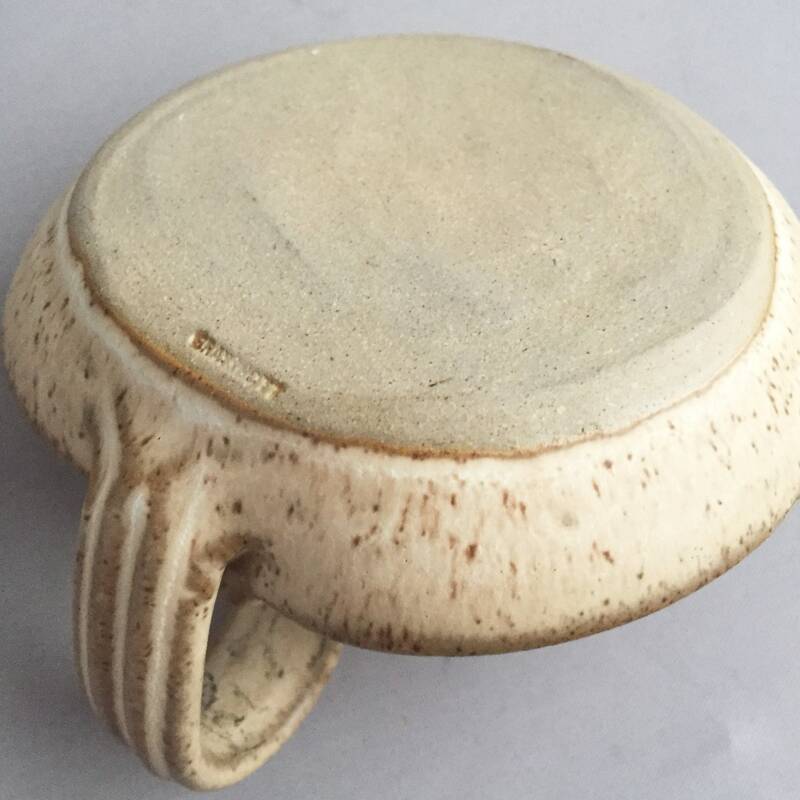 A cream glaze with light brown speckles and edge measuring 12 cm wide x 5 cm tall. 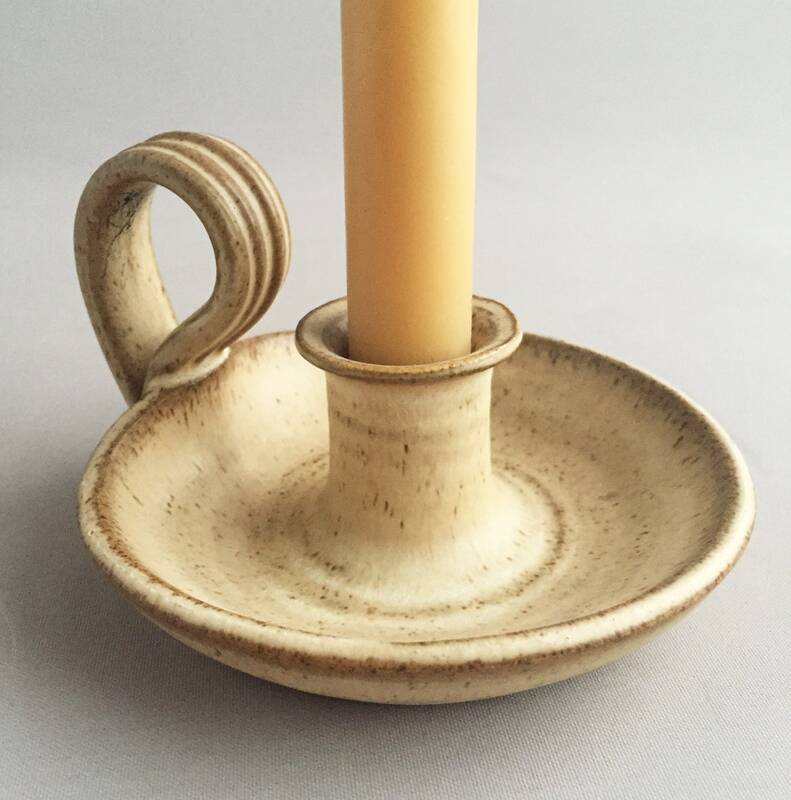 A thing of beauty is a joy forever and this little beauty is no exception. 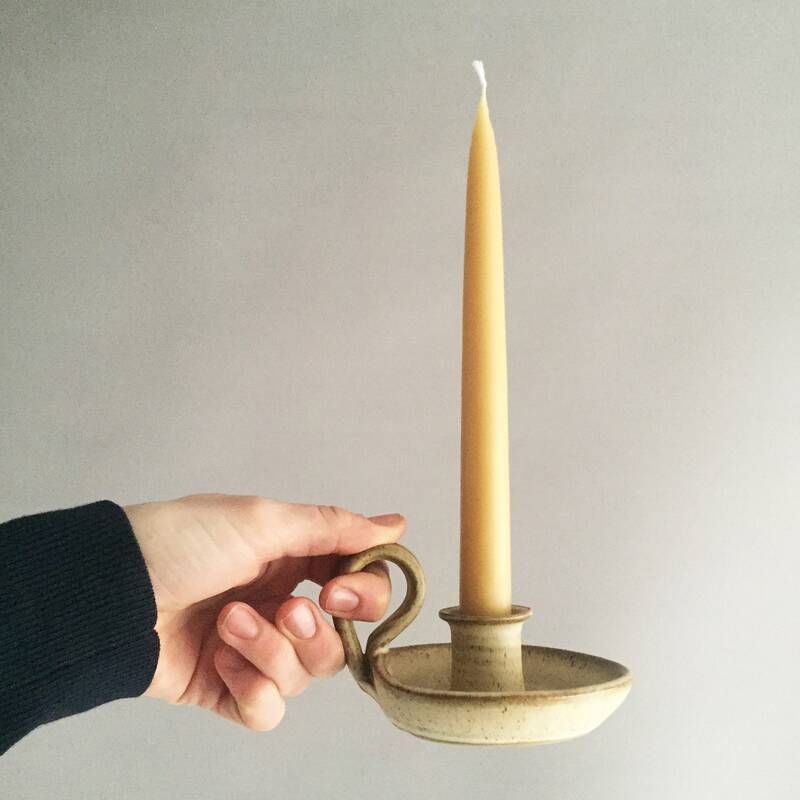 Candle sold separately . 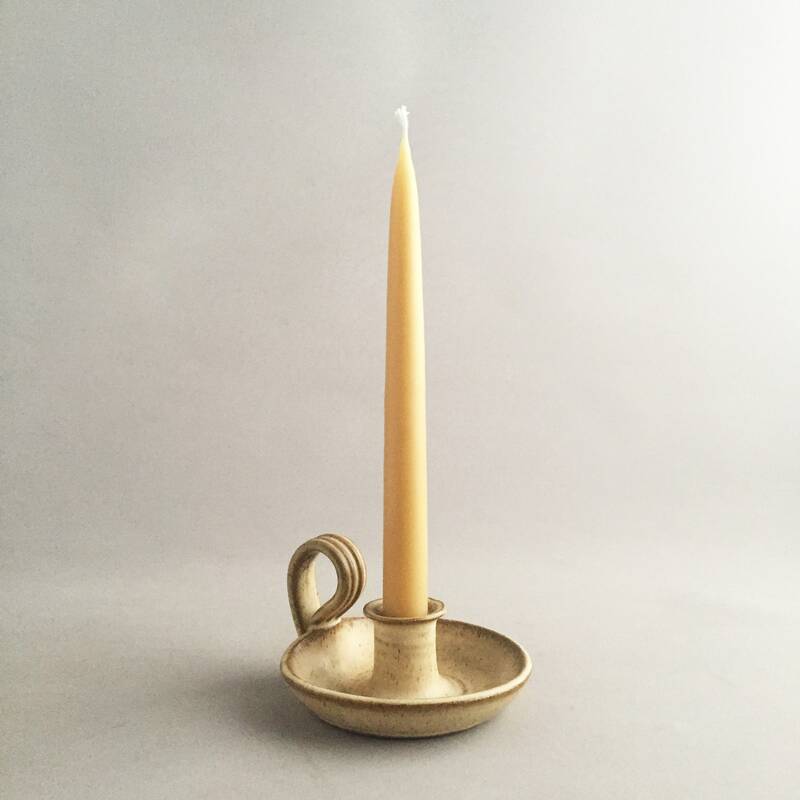 Find our hand dipped 100% bees wax candles in the lighting department of our shop.